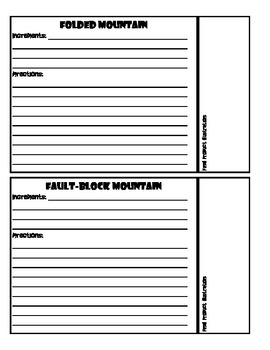 To be honest, I was bored with teaching landforms this year and decided to turn our direct instruction of landforms into something a little more fun for my students- it was a huge hit!!! 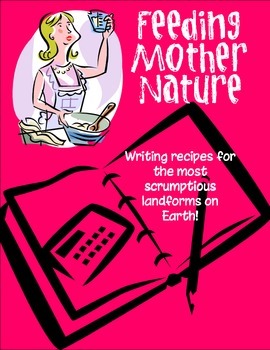 The basic idea is that Mother Nature is hungry and wants to create some landforms to eat, using only the ingredients she has on-hand (some examples: magma, tension within the crust, plate boundaries, etc.). 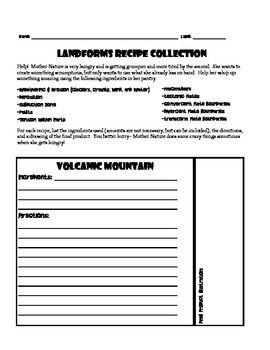 Students have to list the ingredients necessary to create each recipe as well as directions and a picture (so Mother Nature knows that her landform turned out as it should have). I even recruited another teacher to call my cell phone during class and pretend to be Mother Nature- the kids loved it, and they are 6th graders!!! 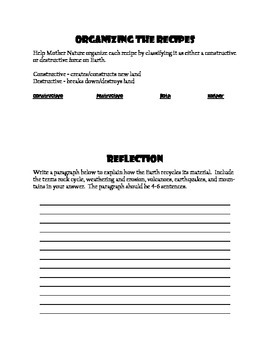 This activity really pushed my on-level students because it required abstract thinking, so we did most of it together as a class. For my gifted students, I did the first 2 on the board as a class and let them complete the rest in small groups. Students used their textbooks, but could easily use reading selections provided by you based on reading levels.